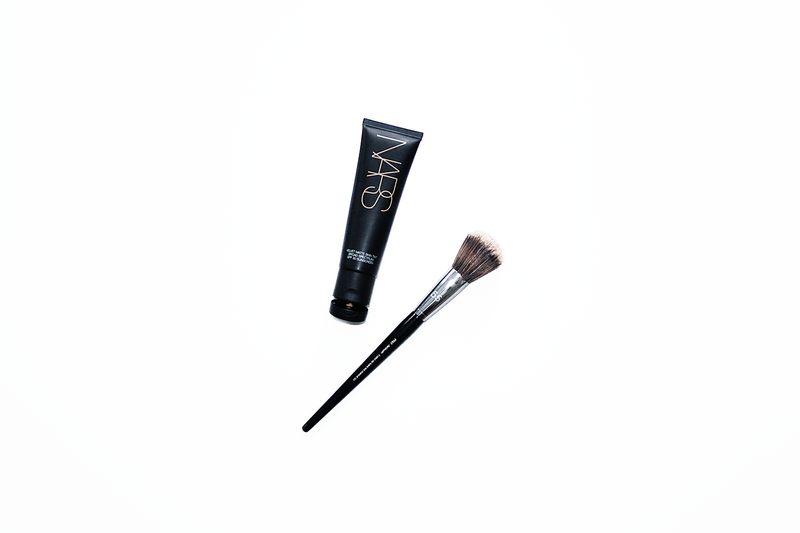 Like it's tinted moisturizing counterpart, the NARS Velvet Matte Skin Tint applies smoothly, has a medium coverage that conceals redness, and blends out beautifully. I have the same shade in both products, and find that the Velvet Matte Skin Tint initially looks darker but blends out to match the Pure Radiant Tinted Moisturizer. While the name says matte, like all NARS products the finish is far from flat and matte. It dries down to a gorgeous velvet finish that has a "your skin, but better" feel. I find that a little goes a very long way with this product - not much is needed at all to achieve a flawless base. (I definitely squeezed out too much the first time!) It also has an SPF of 30 which is perfect for this time of year. My final comment is on the packaging - slimmer and longer than the Pure Radiant Tinted Moisturizer I find this one to be more aesthetically pleasing and easier to store. Major thumbs up all around. Have any of you tried this new base from NARS? Do you have a NARS favorite? Let me know in the comments below!